The vineyards in the hills of Montepulciano are lie at an average altitude of 300m above sea level. This ensures the slow and steady ripening of grapes, the development of beautiful aromatics and the retention of freshness in the grapes. The vines grown on clay-rich soil. 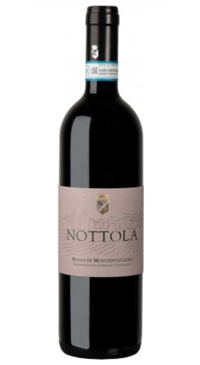 Vino Nobile and Rosso are made primarily from the Prugnolo Gentile clone of Sangiovese (80%) and 20% other red grape varieties. The Rosso ages for just 6 months in Slovenian oak barrels. It is ruby red with an intensely fruity aroma with hints of violet. The palate is subtle and balanced with bright fruit and dusty tannins.